Collects X-MEN (1991) #188-199 and #200-204 (A STORIES) and X-MEN ANNUAL (2007) #1. Mike Carey reinvigorates the X-Men! A shaken Sabretooth arrives at the X-Men’s doorstep - asking for asylum! But what could possibly strike terror into the heart of Victor Creed? The Children of the Vault have risen?and they spell doom for the X-Men! Rogue must assemble a dangerous new squad - including Mystique, Cable, Lady Mastermind and Sabretooth - but when a terrifying alien threat emerges, can Rogue hold on to her sanity? Meanwhile, the deadliest foes in the X-Men’s history, the Marauders, return - and Gambit is front and center among their ranks! Why are the Marauders eliminating specific mutants? And what prize do they plan to rip from the X-Men’s hands? 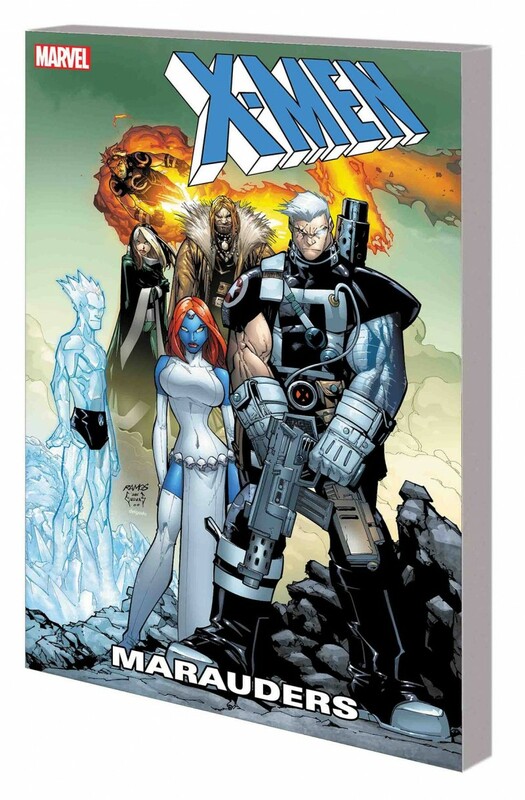 It’s an exciting new direction for the X-Men that sets up the status quo for the ‘Messiah Complex’ event!